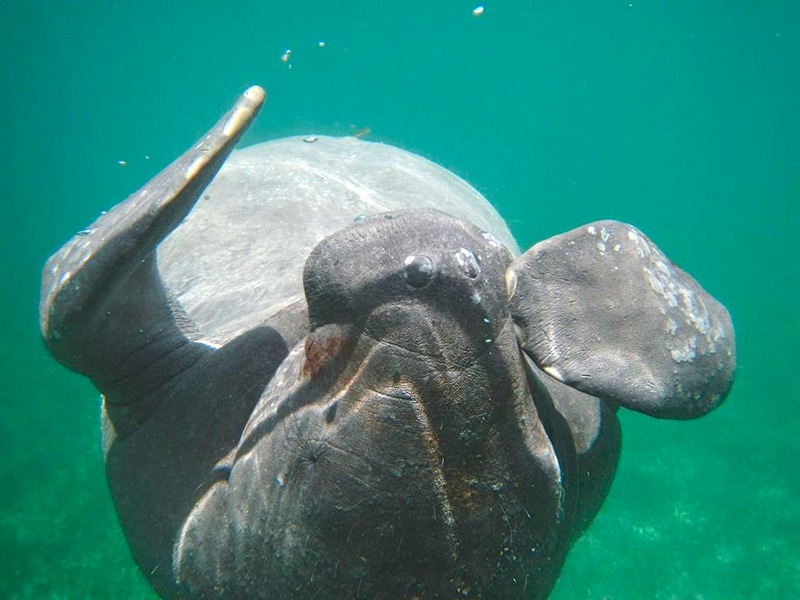 Four years ago, there were no manatees in Abaco waters. 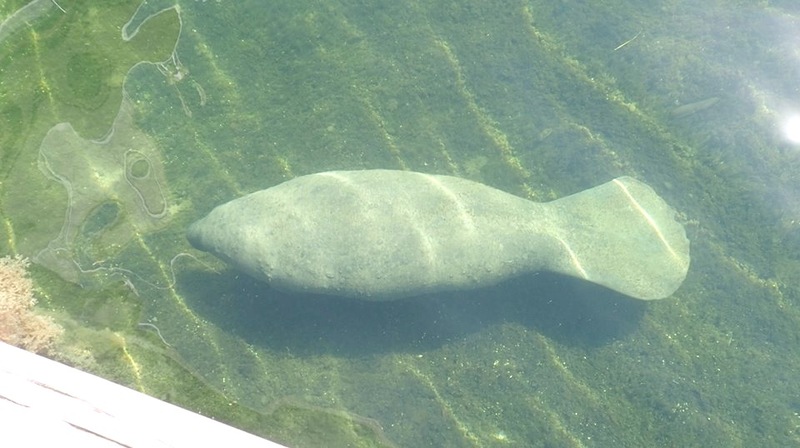 Then a couple of adventuresome sirenians made the trip over from the Berry Is. 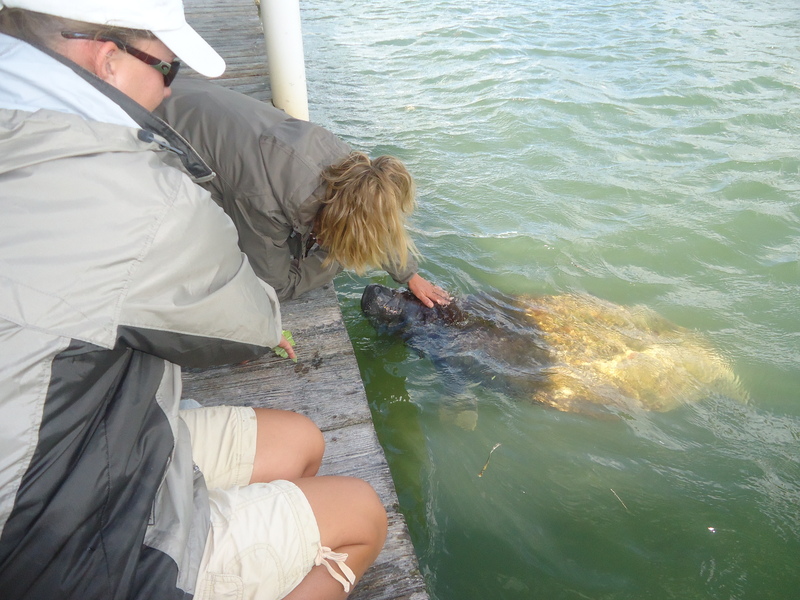 and since then, there have been at least one, sometimes two and occasionally three resident on Abaco. 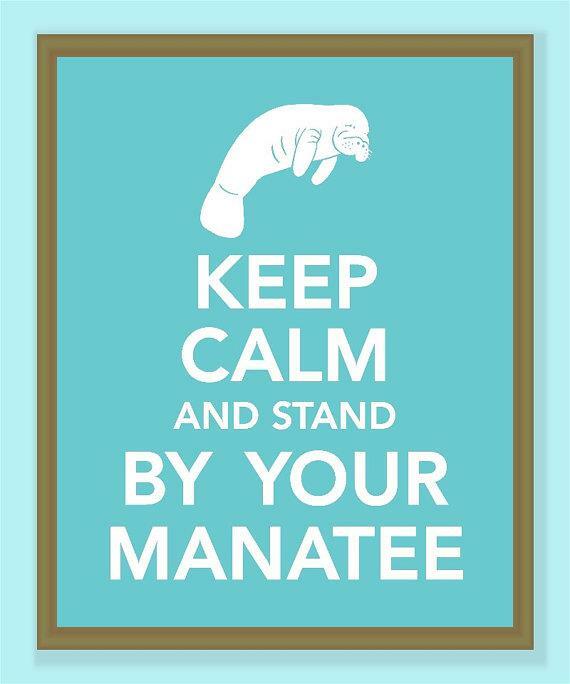 And for slow, gentle, animals they certainly move around, too. 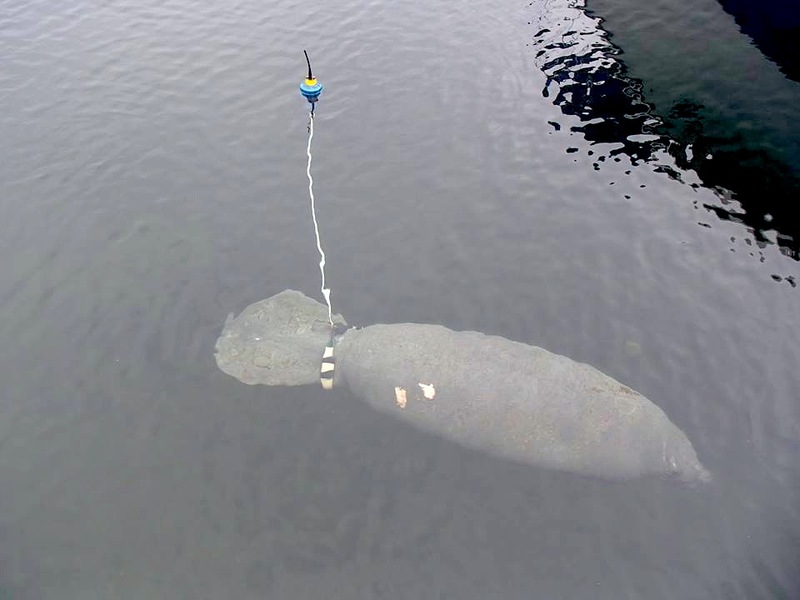 In the past, I wrote quite often about the manatees, charting their journeys based on satellite tracking and sightings. 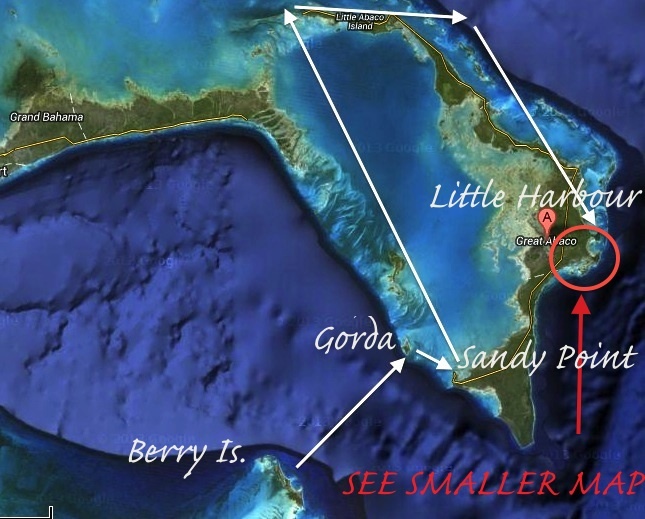 I reported the tantalising prospect of the young male, Randy, hooking up with young female Georgie in Cherokee Sound, only to turn back when he reached Little Harbour. 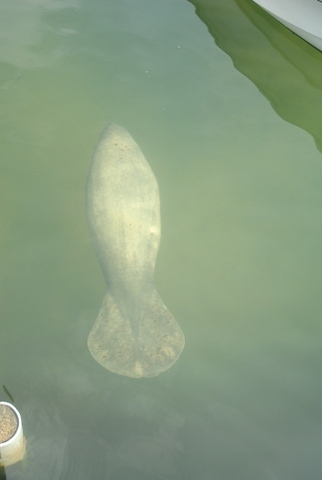 You can read more about the manatees of Abaco on my manatee page HERE. 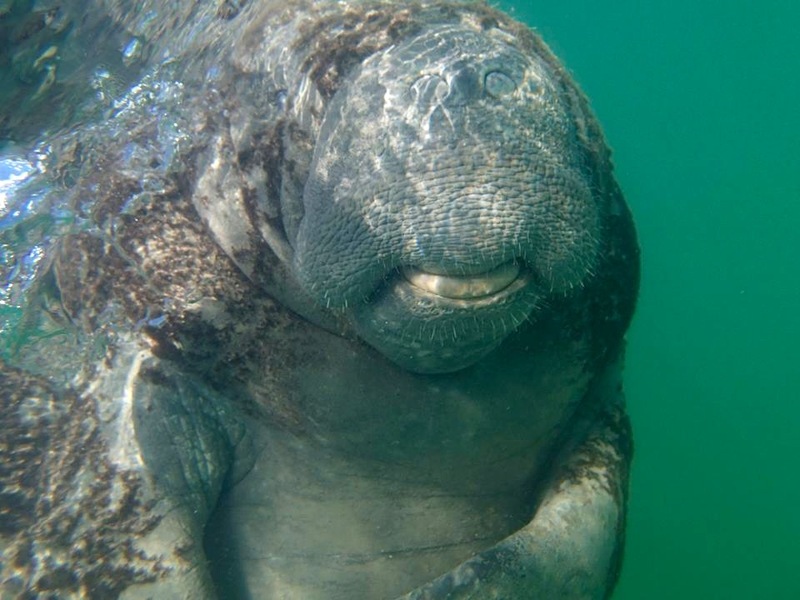 The most comprehensive source for Bahamas Manatee information is now to be found by joining the open Facebook group BAHAMA MANATEE CLUB, skilfully curated by Felice Leanne Knowles. 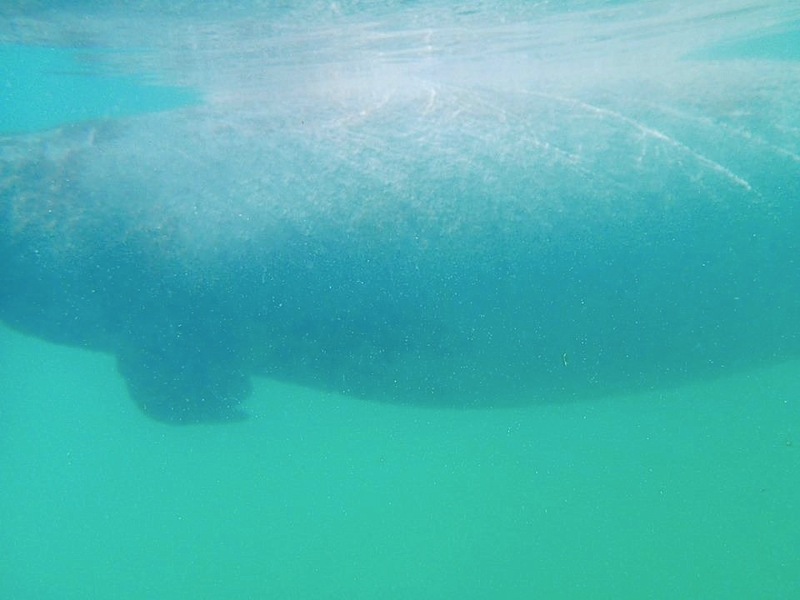 There, you can follow the meanderings of your favourite Abaco manatee, watching as he or she moves around the island and cays. 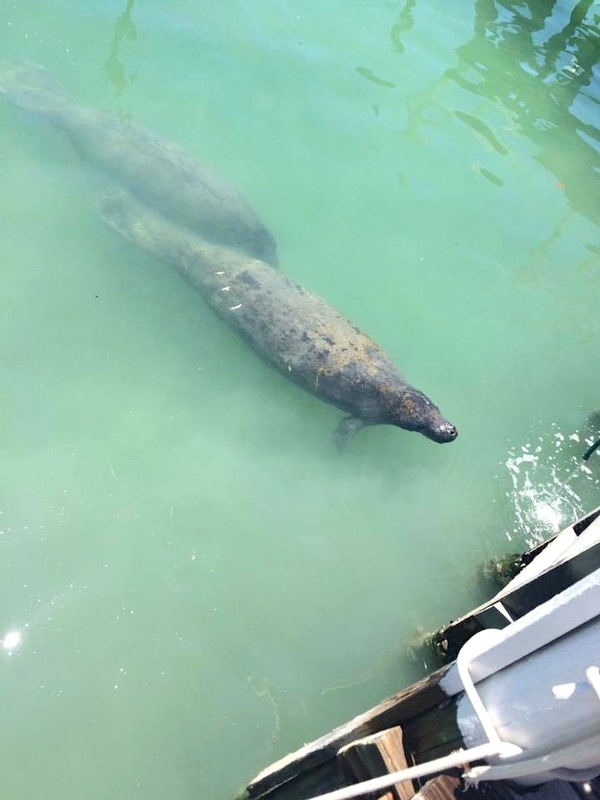 In recent months there have been sightings of single or pairs of manatees in several places, including Sandy Point, Little harbour, Marsh Harbour, Schooner Bay and Hope Town Harbour (where two are right now). 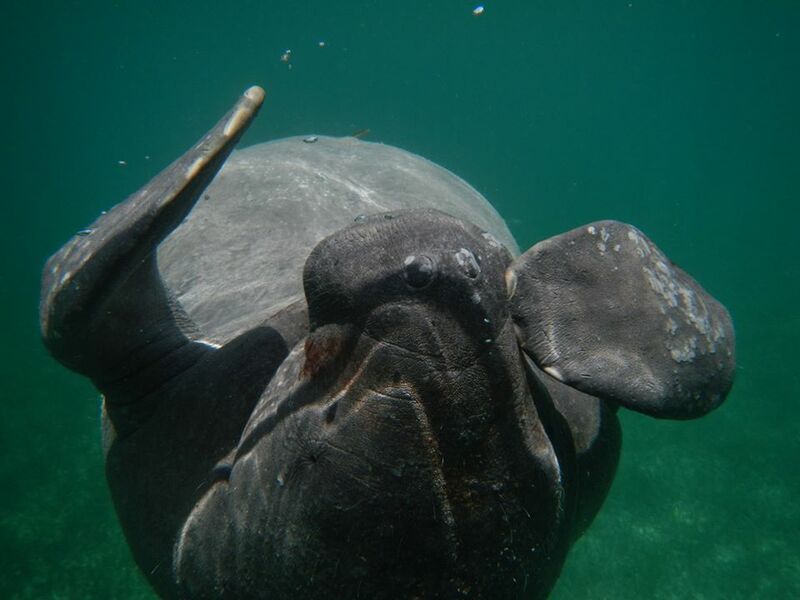 Here’s an excellent example of how, just like a Beach Boy, an Abaco manatee gets around. 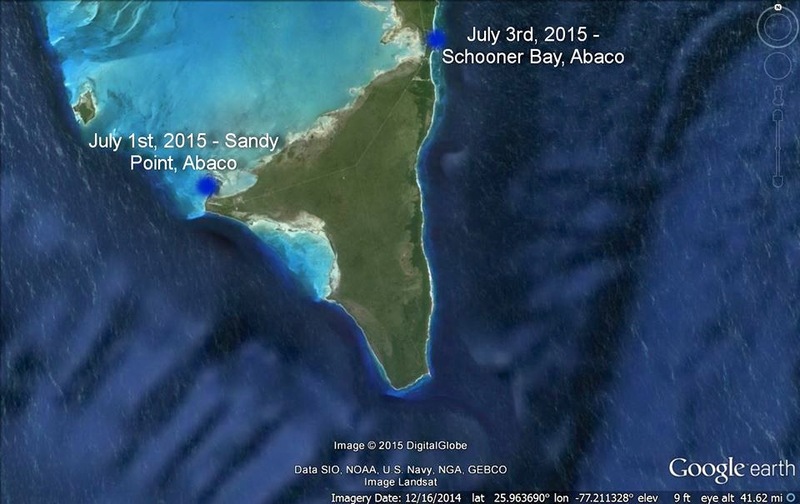 In July, Randy moved from Sandy Point to Schooner Bay in 2 days. 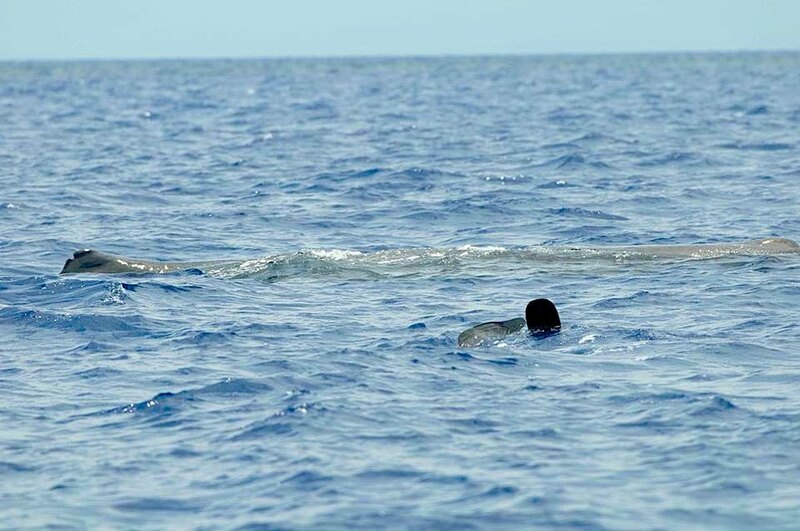 The big question is, did he travel round the longer top route, as he has in the past; or (more likely in the time taken) via Hole-in-the-Wall? 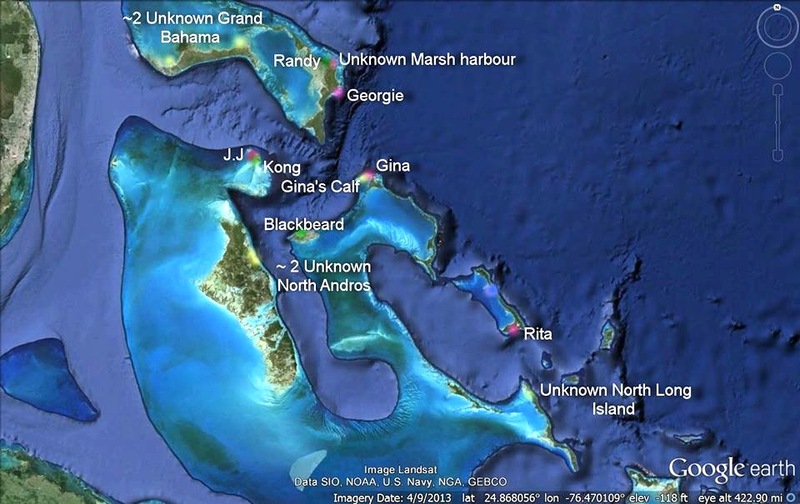 Felice has just produced a great map that shows the present locations of all the Bahamas manatees currently recorded. 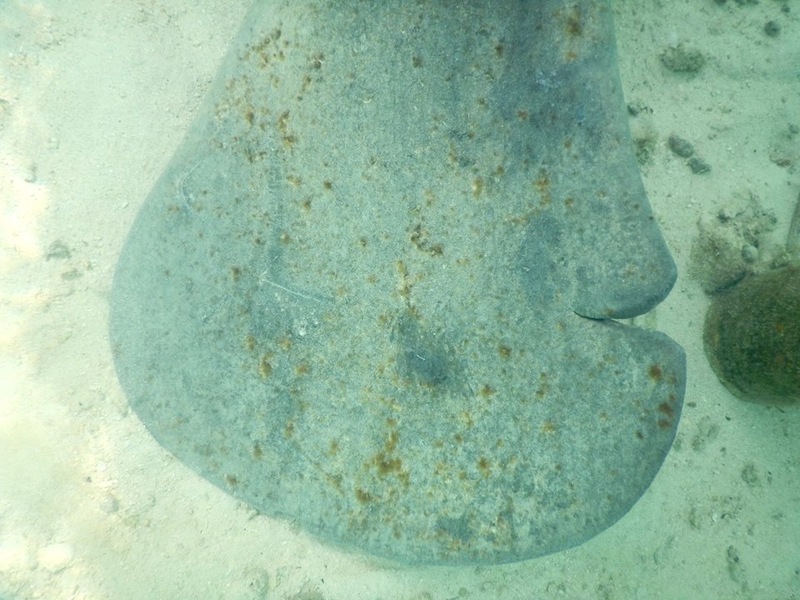 She has also supplied photos and information about them. 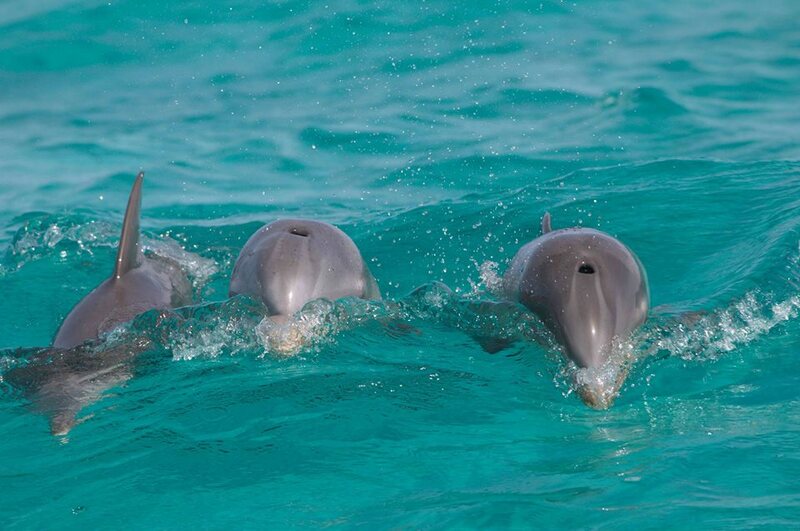 Most have names and are well-known to the research team and the locals where they stay. 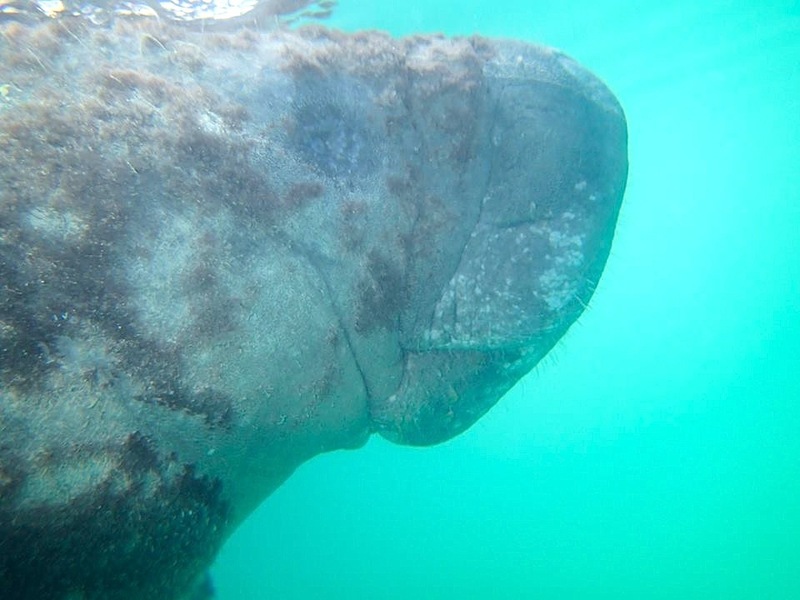 There is one new calf – Gina’s – this year. 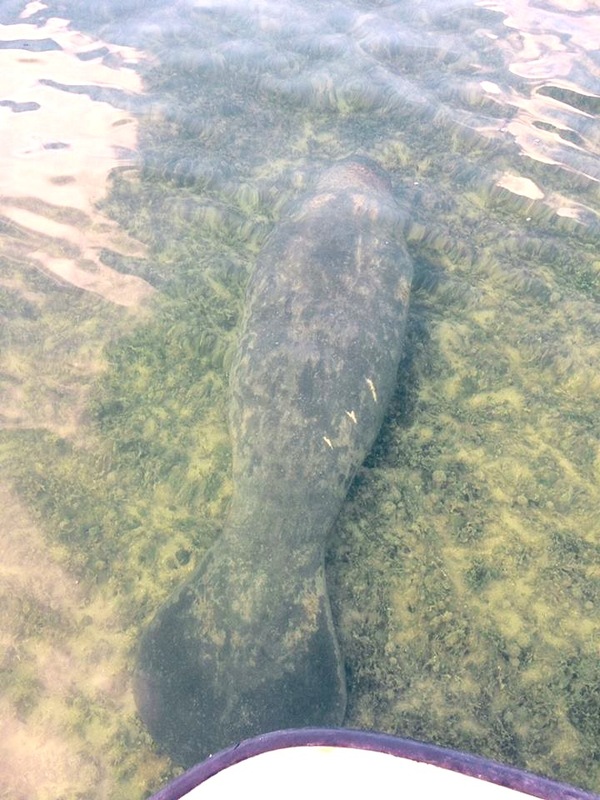 One or two manatees are new on the scene and have yet to be identified or named. 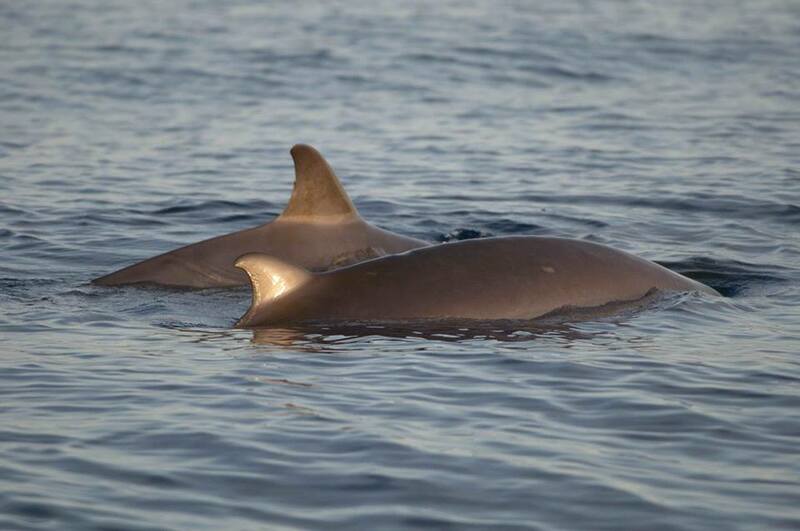 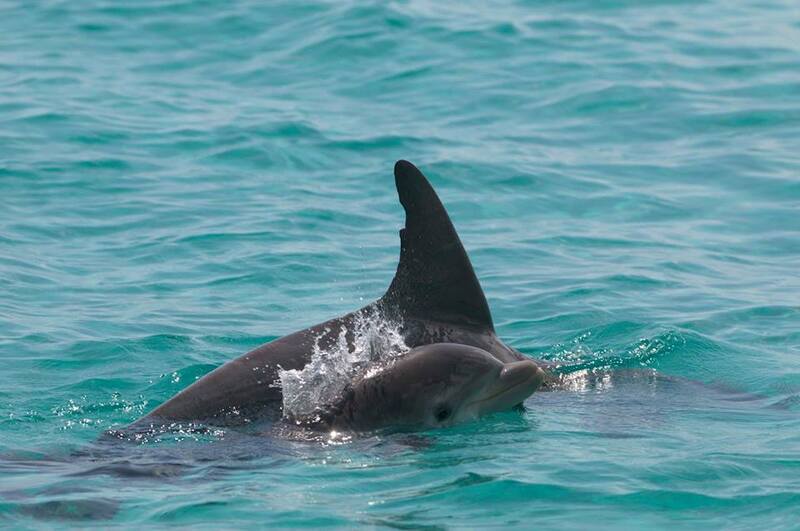 Gina’s Calf Last seen August 6th, Spanish Wells Key feature – none yet, just really tiny! 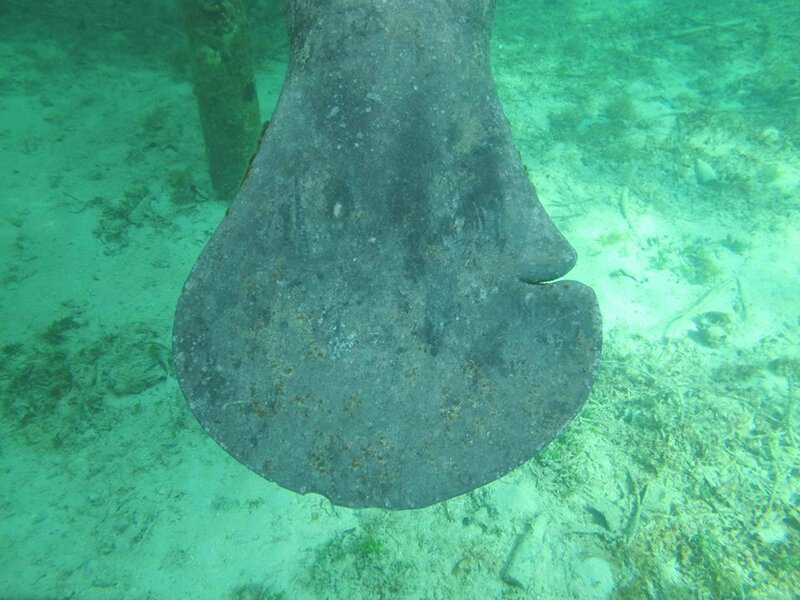 Unknown adult, West Grand Bahama – Key feature: too distant! 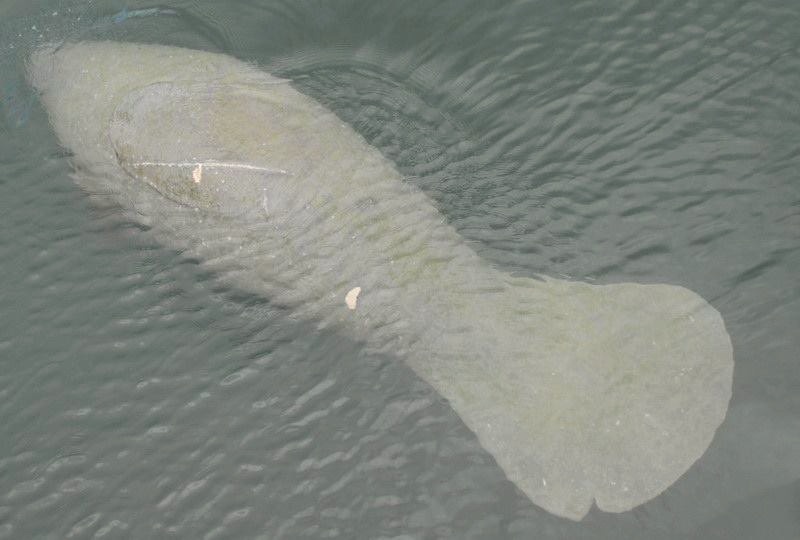 You may have noticed that several of the manatees shown carry scars attributable to prop wounds. 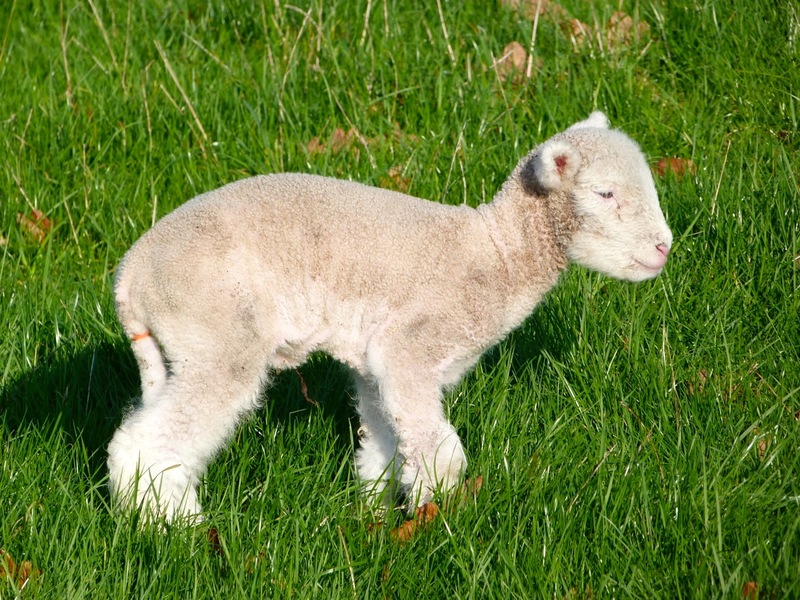 Almost all carry injuries of some sort. 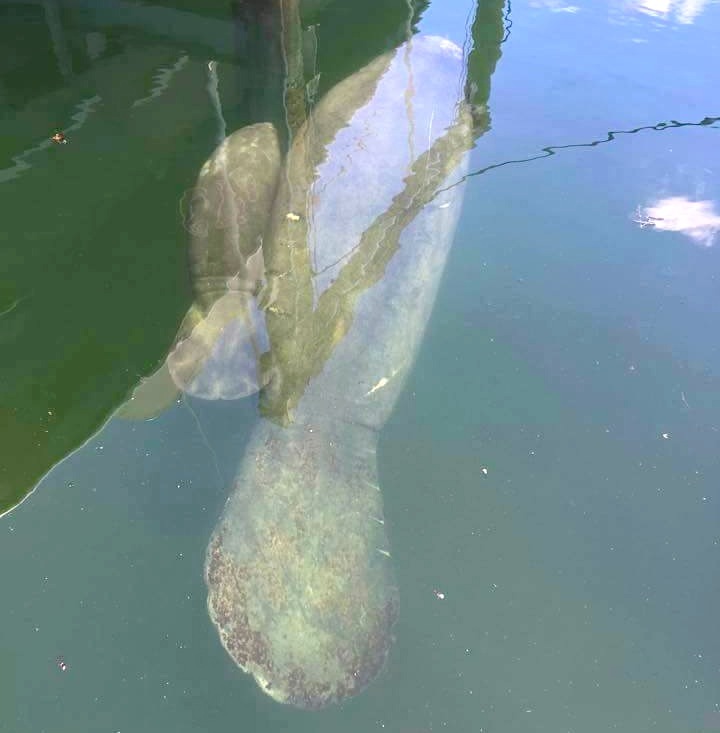 Because manatees are slow, gentle, inquisitive and trusting creatures, they are especially vulnerable in harbour areas for obvious reasons. 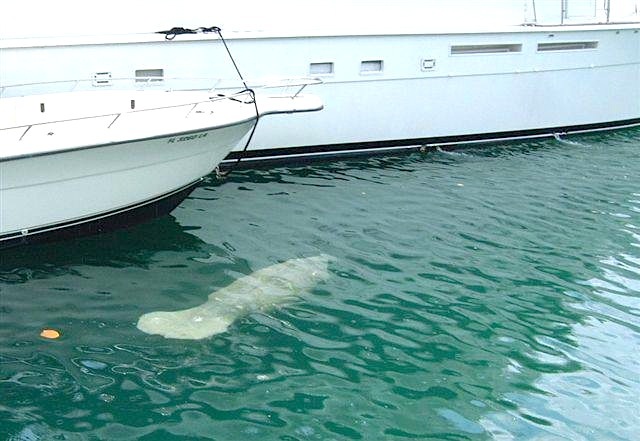 Elsewhere than the Bahamas, boat-strike is one of the main causes of manatee mortality. 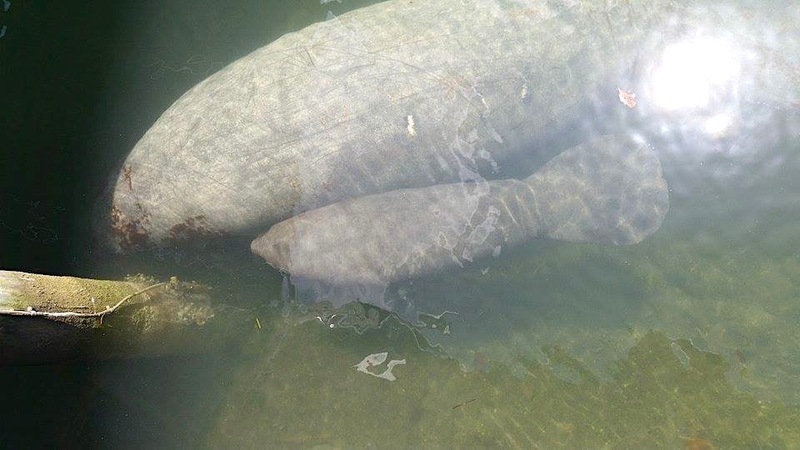 The BMMRO recently issued the above advisory notice because of the uncertainty about the rights and wrongs of watering manatees from docks with hoses and feeding them lettuce etc. 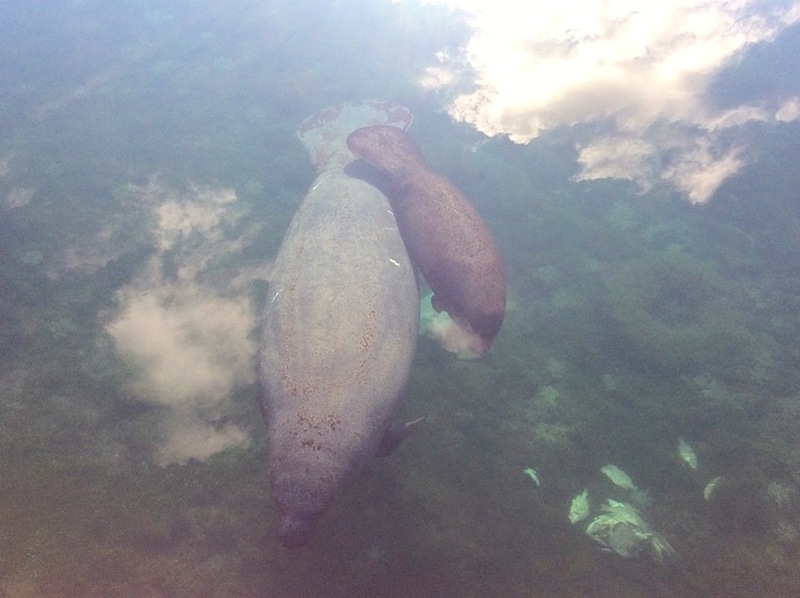 Overall the message is that, though creatures of wonder, they are better off being admired but left to their own devices. 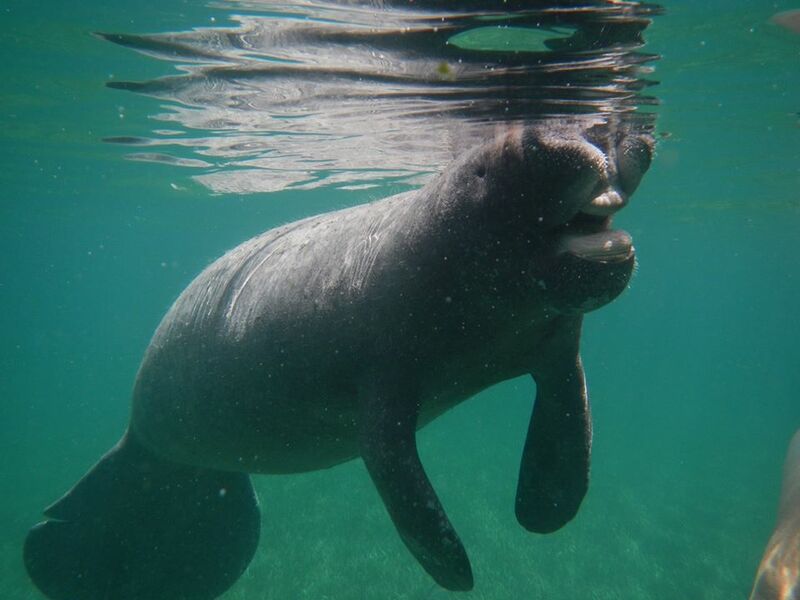 They are adept at finding the fresh water sources they need, and their sea-grass diet is amply provided for. 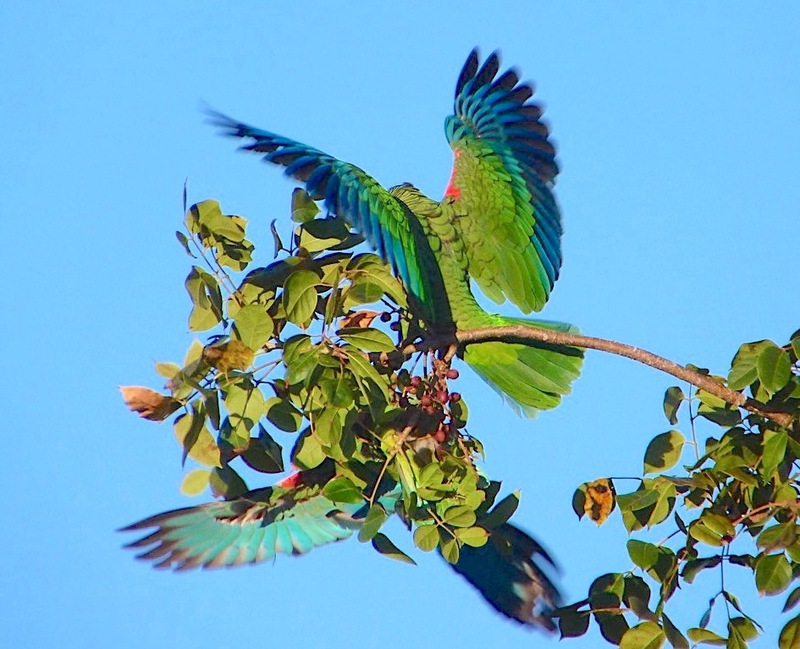 Dependence on humans, however well-meaning, is actually harmful. 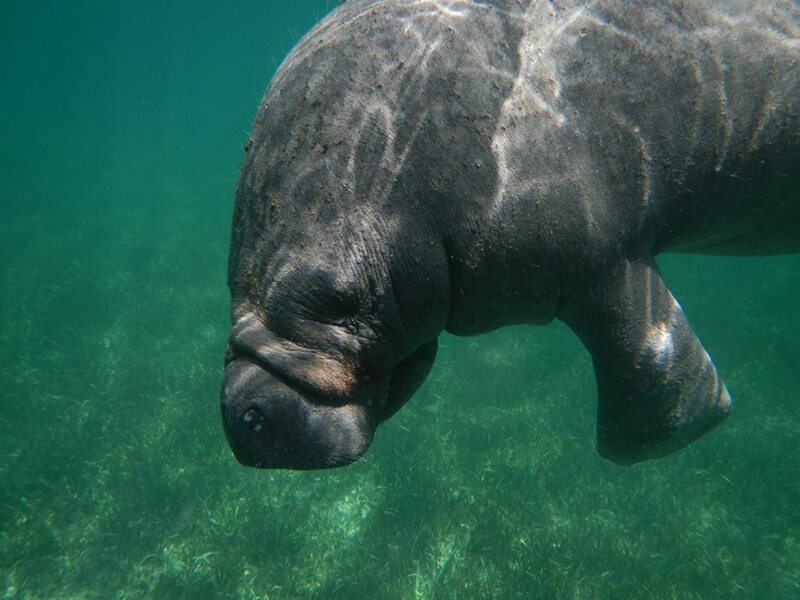 But manatees do breed elsewhere in the Bahamas, in particular the Berry Is. 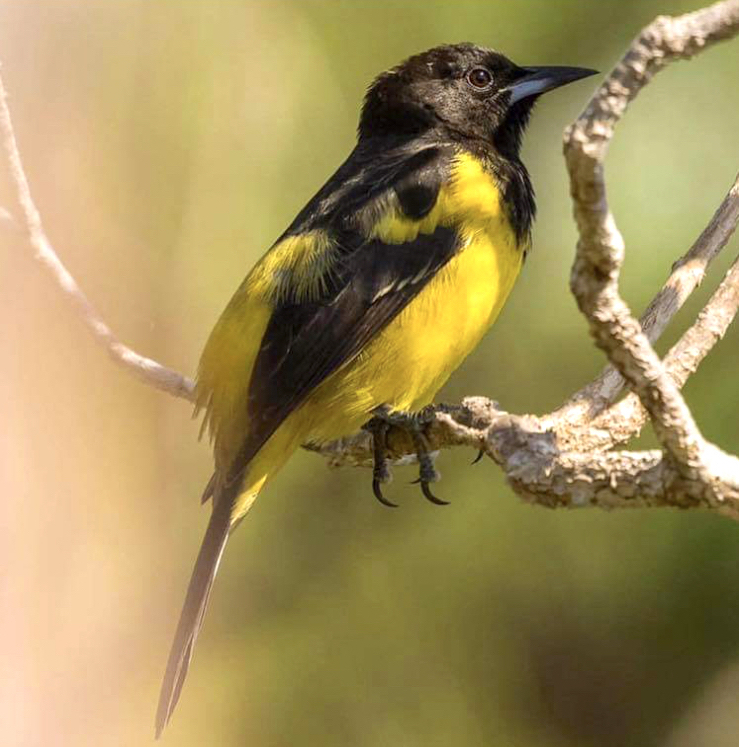 They also seem to favour the north end of Eleuthera, and have been seen on Andros and NP. 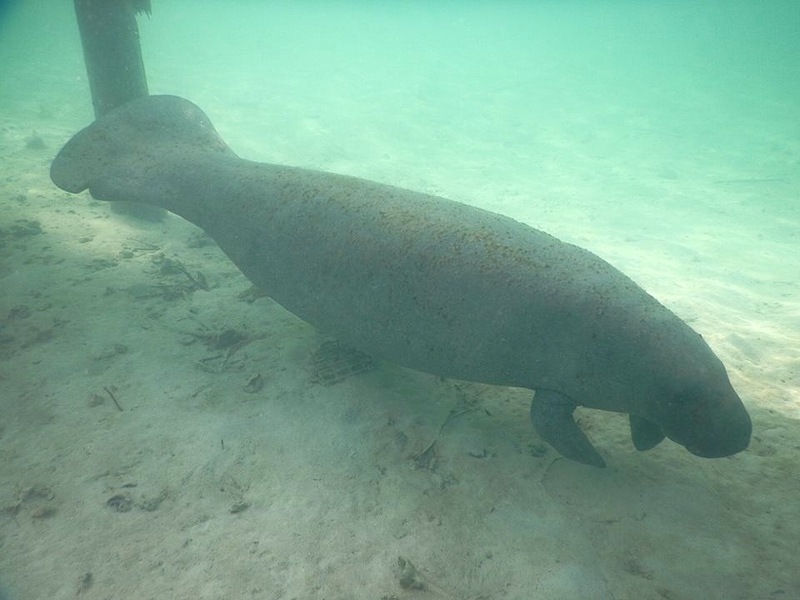 True, the absence of significant freshwater sources in the Bahamas – an essential part of their diet – doesn’t make for an ideal habitat, but manatees do pair off and Bahamas calves are born. 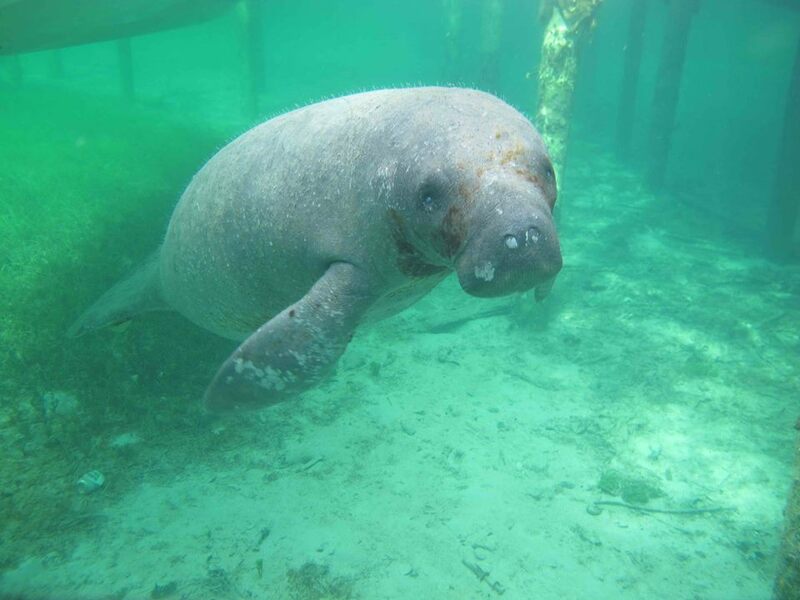 In summer 2012, there were four resident West Indian Manatees (Trichechus manatus) living in Great Harbour Cay, Berry Is. 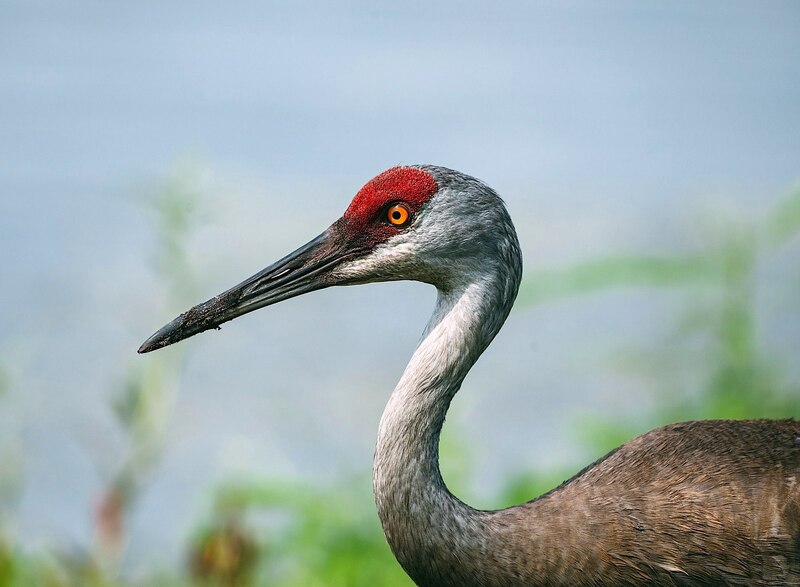 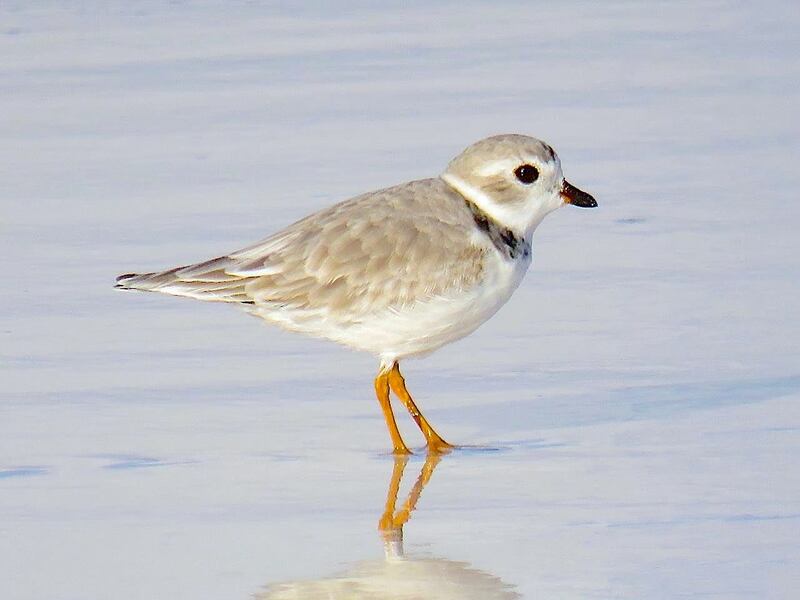 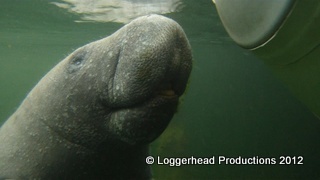 The adult female, Gina, had been there for 3 years – she originated from Florida. 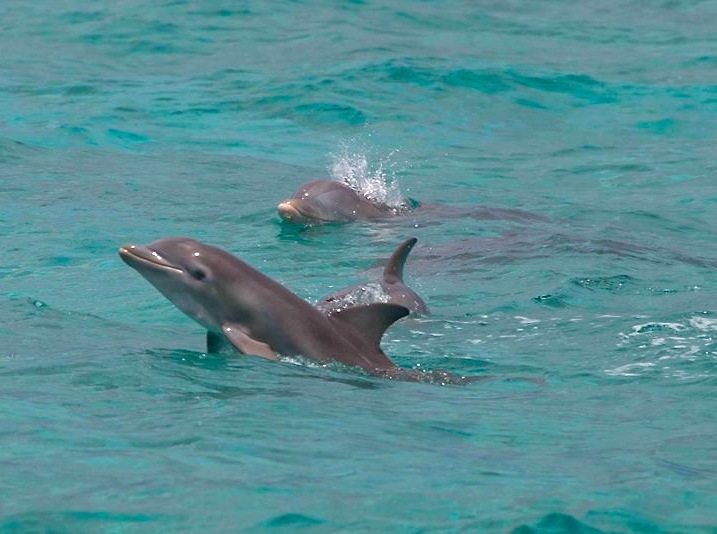 She had reportedly had 3 or 4 calves and was caring for her latest, a female calf called JJ, born in the late winter of 2011. 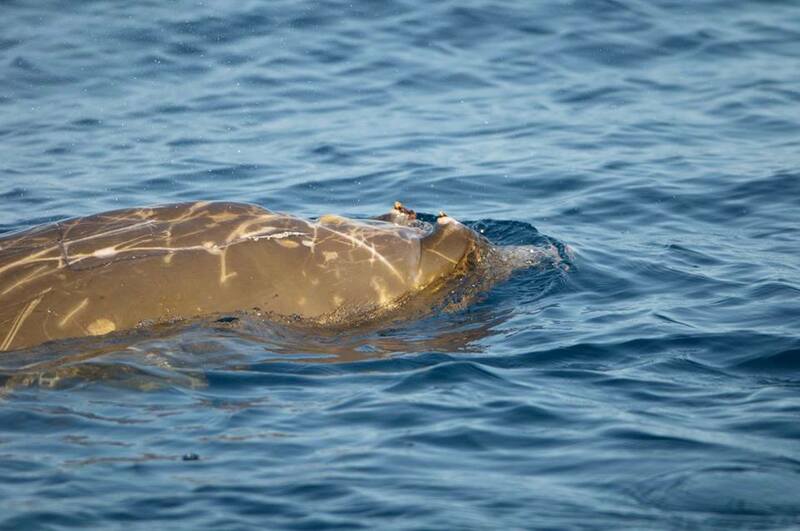 Now there is more good news for Gina, who has been under regular observation by the BMMRO. 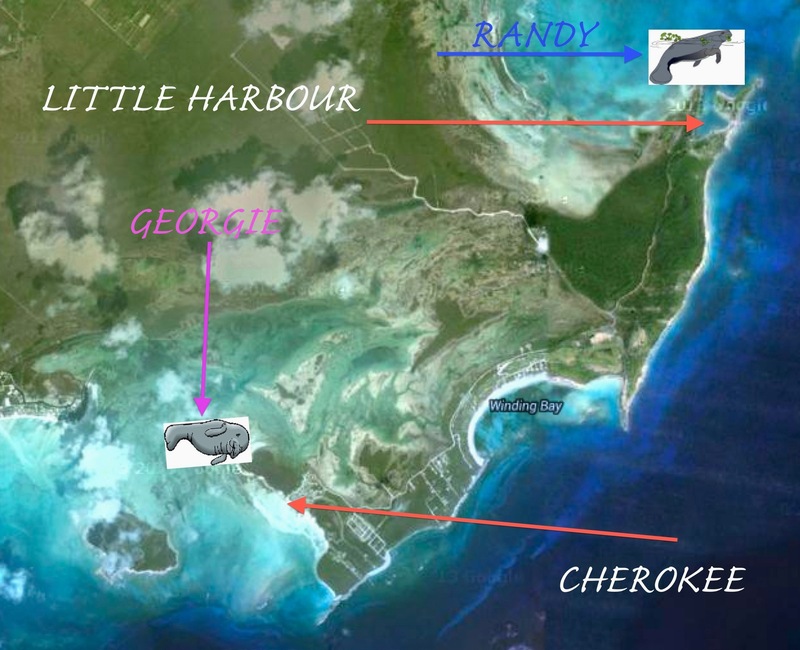 At the turn of the year, Gina was re-tagged in Harbour Island, Eleuthera. 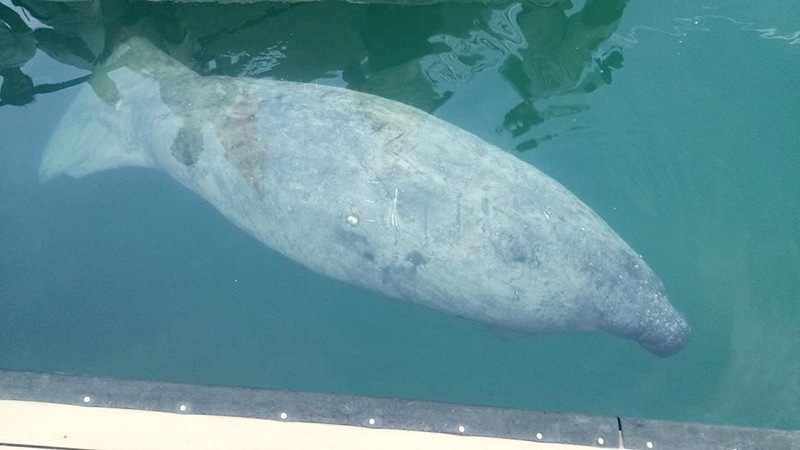 As reported, “she looks well, was very calm and is very pregnant… If the tag comes off and is found, please call the number on the tag to let us know – we are now monitoring her movements via the internet”. 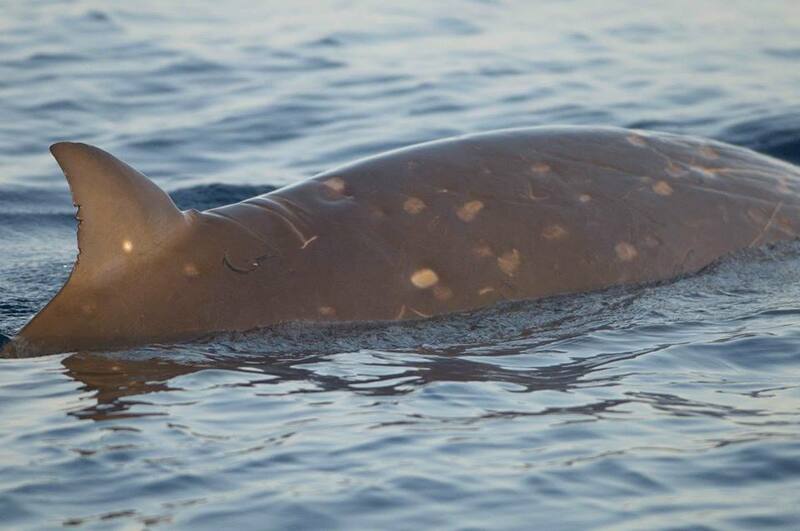 I will post any further news about Gina as it arises. 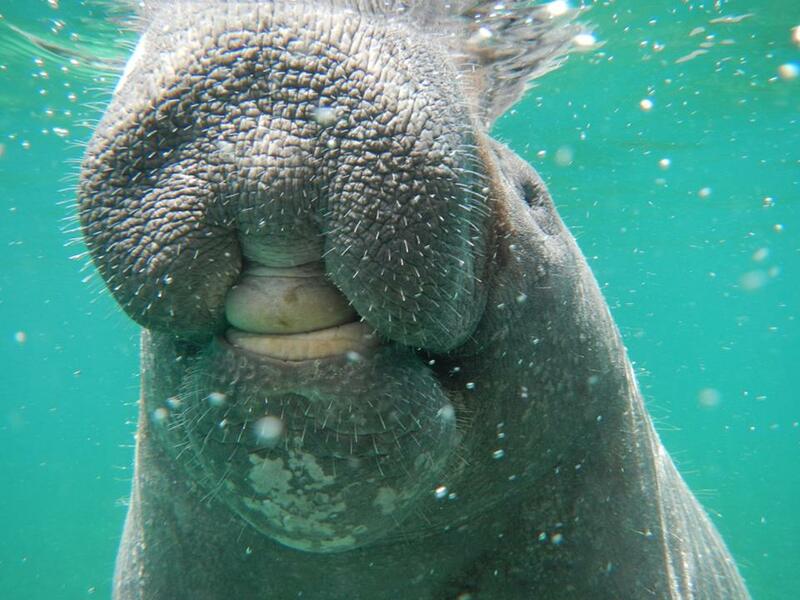 Meanwhile, for more information about West Indian manatees, you can visit the MANATEE PAGE. 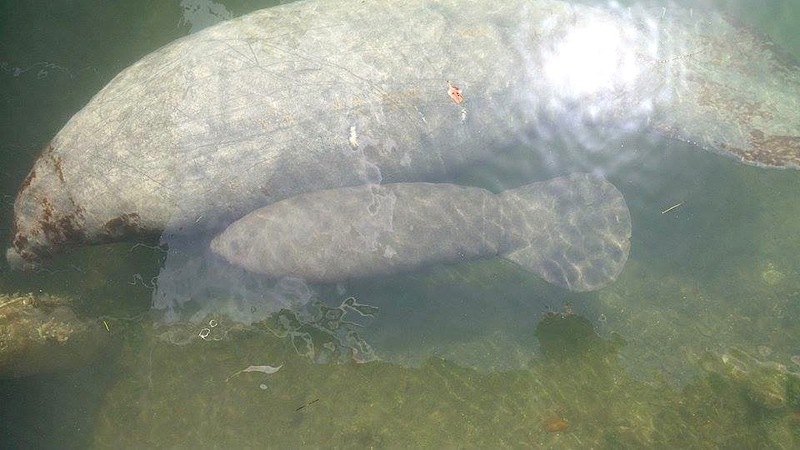 There are several links there to specific manatee stories, especially about Rita and her adventurous daughter GEORGIE, Abaco’s current favourite (indeed, only) resident manatee… Both Links need an update, I notice – they don’t cover Georgie’s subsequent return to Abaco and her contented settling down again in Cherokee where she seems happy as a… sirenian. 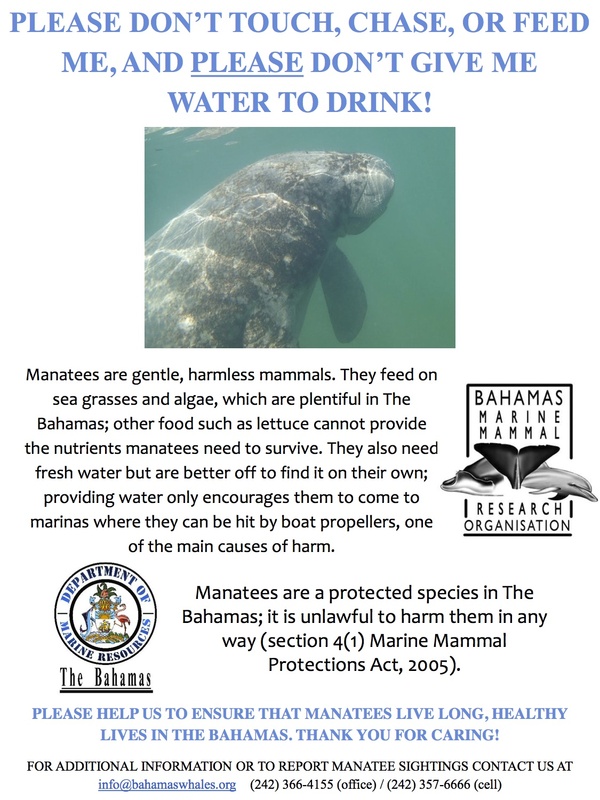 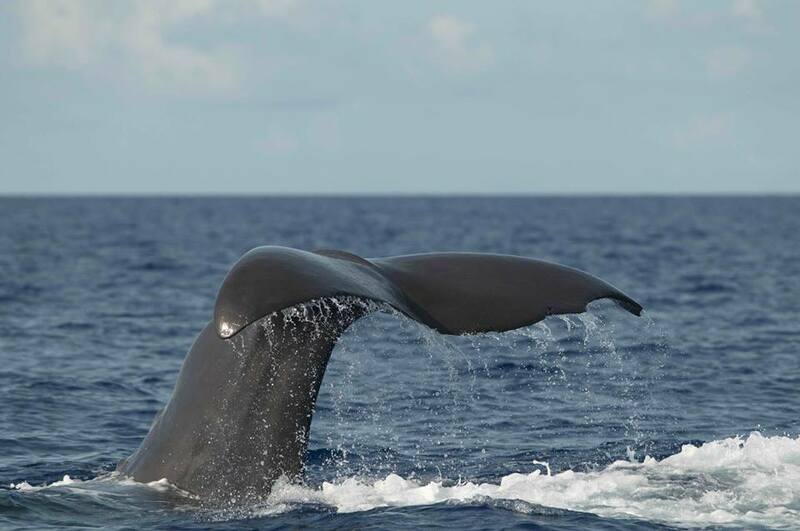 The BMMRO (Bahamas Marine Mammal Research Organisation) had a great June for sightings of cetaceans and sirenians. 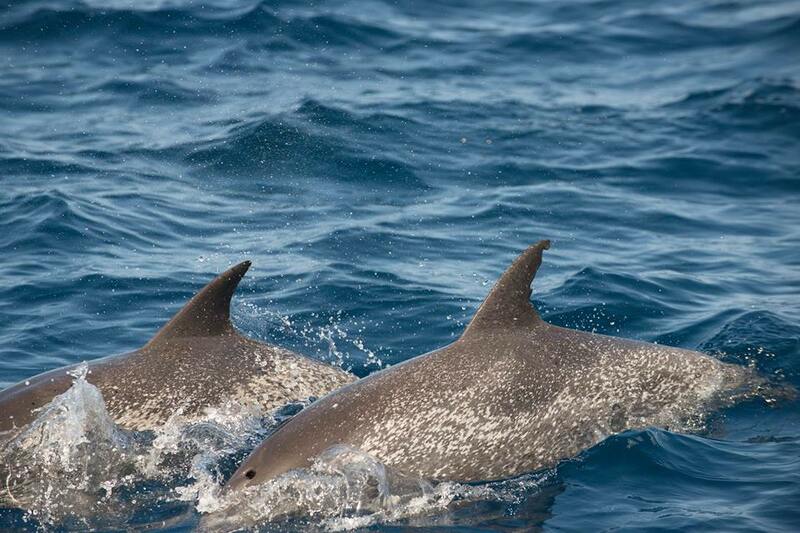 Here is a sample of their wonderful photos from recent research expeditions (with thanks as ever for use permission). 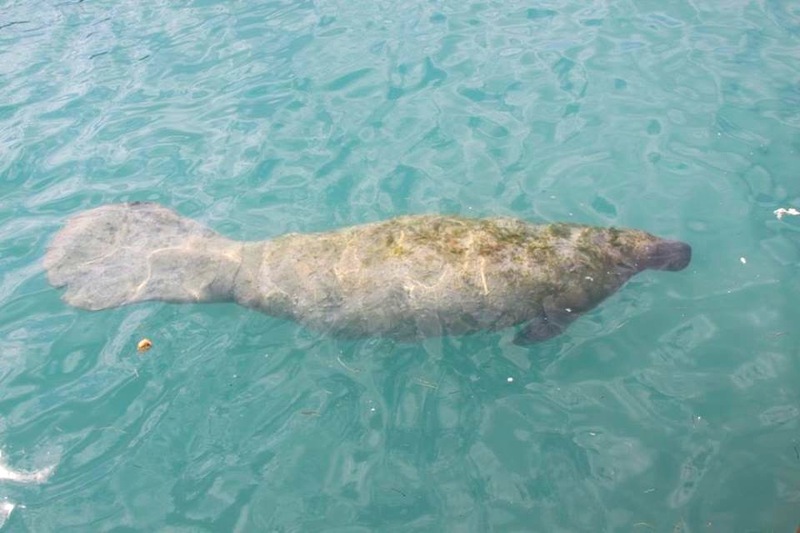 After the recent excitement of Abaco’s manatee GEORGIE having returned to Cherokee after another of her epic journeys, another West Indian manatee has arrived at Sandy Point (conveniently the location of the BMMRO HQ). 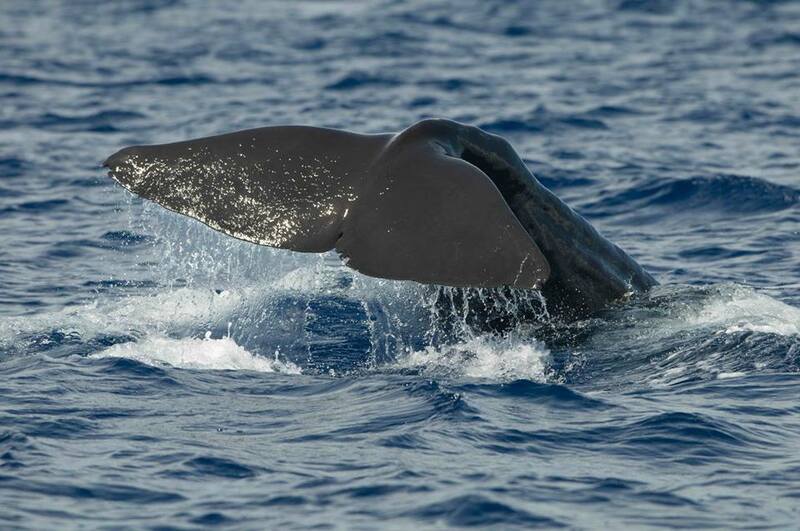 Sirenians and cetaceans are generally recognised from particular patterns to flukes or fins. 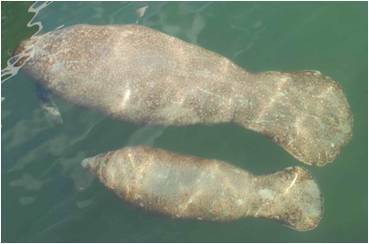 The second image shows the notch in Randy’s tail that confirms ID.